Nov 8 (AZINS) Thw brightest and the most loved festival of the year is finally here. The entire nation is dipped in its glory and Bollywood stars are no exception. The most revered family of Bollywood, the Bachchans, are known for their lavish Diwali parties, which they host every year at their residence Jalsa in Mumbai. However this year they chose to keep it low-key because of the recent demise of Shweta Bachchan's father-in-law, Rajan Nanda. 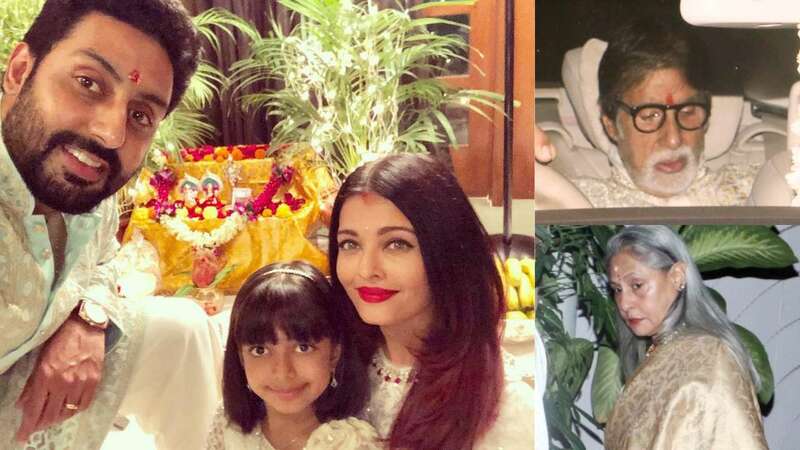 This year's Diwali celebrations comprised of just a simple Lakshmi puja which was attended by Amitabh Bachchan, Jaya Bachchan, Abhishek Bachchan, Aishwarya Rai Bachchan and Aaradhya Bachchan. In the pictures, Aishwarya and Aaradhya can be seen twinning in white while Abhishek is wearing a light pastel-green kurta. Idols of Lakshmi and Ganesh can be seen in the background. One can tell from the pictures that it was one low-key and family-only affair.